Saw Kong: Skull Island last week. For the second time, actually. It's great. I'm a big fan of the 2014 Godzilla, but I understand the perspective that there's not enough Godzilla in it. I disagree, because I love the build-up, but I get it. 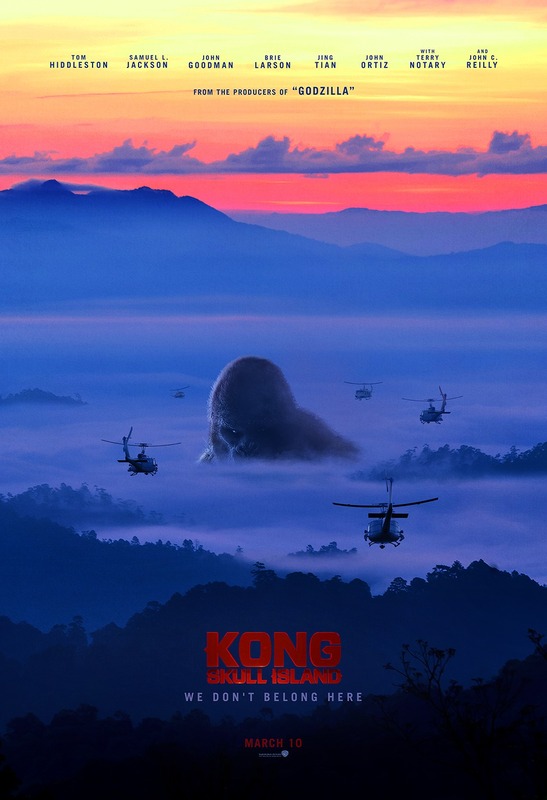 There's no such problem in Kong. That monster is all in this thing. And his fights are awesome. But I like the characters, too, and the '70s setting and the music and the ties to Vietnam and also the ties to Godzilla. It's a great prequel to that movie that doesn't feel like a prequel because it totally stands on its own. I like how it barrels towards various tropes and then swerves around them at the last second. I love the classic King Kong and his story, but I love this one, too. This Canadian adaptation of the Arthur Conan Doyle novel has been on my To Do list for a long time. It's got John Rhys-Davies as Professor Challenger, David Warner as his scientific rival, and a pre-Will Eric McCormack as the young reporter who accompanies them on their expedition to investigate Challenger's claims of a hidden plateau full of dinosaurs. And it's pretty horrible. The name actors are all charming enough, but the rest of the cast isn't so great and the visual effects are abysmal. The dinosaurs have all been created with puppets and there's no effort given to making it seem like they ever inhabit the same shot as the human characters (except for some baby dinosaurs that look even worse when being held by a person). Lots of liberties taken with the story, too: moving the Lost World from South America to Africa for no real reason and teaming the explorers up with a good tribe that worships herbivore dinosaurs and is at war with a bad tribe that worships carnivores. And then there's the painful set up for the sequel where the tribal chief tells the heroes that they all have to come back (all of them, he stresses) if they're ever needed again. It's silly and I didn't like it. But totally going to watch the sequel anyway. 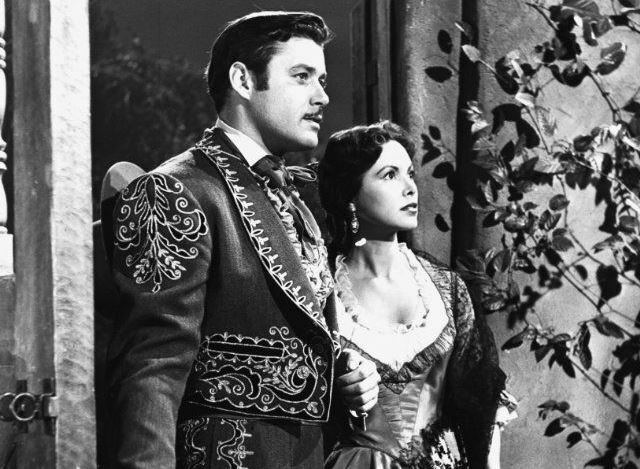 Watched a few more episodes of Disney's Zorro and still love it. I'm still in the first season, but another storyline has wrapped up (leading to the departure of yet another comandante from the village) and a new one started by finally revealing the mysterious Eagle who's been behind all of Zorro's most recent adversaries. Finally, I watched another couple of Young Indy episodes. 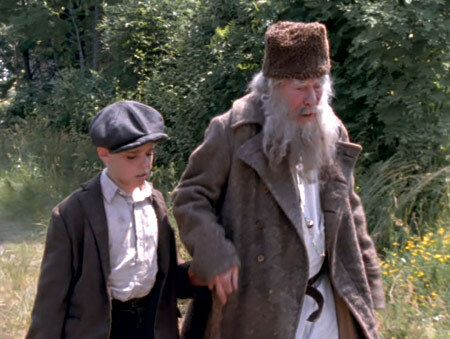 My favorite of the two featured Michael Gough as Lev Tolstoy, who befriends Indy when the boy runs away from his parents. The set up is frustrating, but cool. One of my problems with the younger of the two Young Indianas is that he hasn't ever felt like Indiana Jones to me. He could be any intelligent and privileged kid who's traveling around the world with his folks and keeps meeting important historical people. But in the Tolstoy episode, Indy's tendency to get into trouble - almost always because he's doing something he shouldn't be - gets completely unmanageable. His parents have absolutely no control over him and are reduced to bluster and threats. As a parent, I was super irked by his behavior. And that was before he ran away for several days, leaving them in a worried panic. But then I realized that I was finally seeing some of Harrison Ford's Indiana Jones in the character. His extreme independence and stubborn insistence on doing things his own way is on full display. As is his broken relationship with his father who will continue to disapprove of Indy's decision-making close to 30 years later. It didn't make me warm to the kid any more, but at least it made sense and I felt like I was watching the right show. The second episode has Indy and his dad being forced to spend some time together in Greece where Indy meets Nikos Kazantzakis, author of Zorba the Greek and The Last Temptation of Christ. It's a heart-warming episode and repairs some of the damage done to their relationship in Russia, but that's probably why I didn't like it as much. That and the over-simplified philosophy that the Jones boys talked about the entire time. Foot-stomping and nasty, this song makes me feel like I'm at the best party in the world, that just happens to be at a decrepit old shack deep in the swamp. I like how Skull Island gave us a plus sized Kong Funko vinyl! They have it perched on top a skyscraper shaped shelf at the local Barnes and Noble. There certainly are a lot of Lost World adaptations. 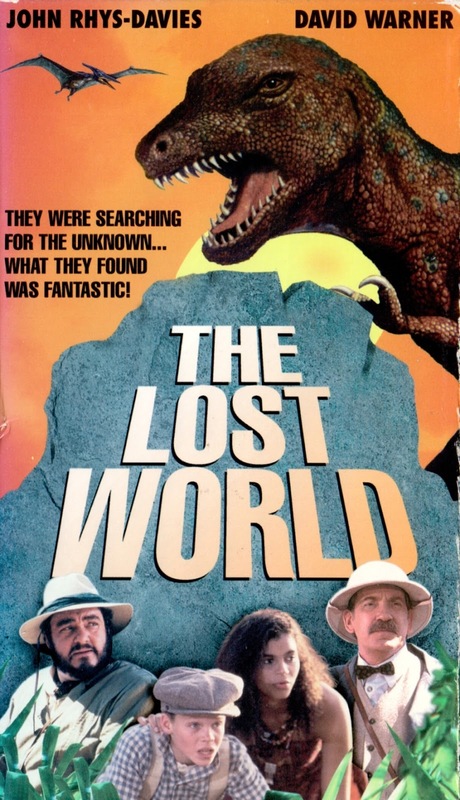 Aside of the public domain stop motion footage of the 1925 film I have vague memories of a Lost World TV series that ran on TNT early in the mornings that I caught when I was sick from school one time. Then there was a 2001 TV Movie that had Bob Hoskins as Professor Challenger. I remember borrowing his accent for my turn as Doctor Watson in my high school drama club. I watched some of that syndicated TV series when David was younger. I eventually gave it up, because the jungle girl character was supposed to be my favorite and she was kind of lame, but it had some good things going for it. The 1960 Irwin Allen movie has some charm if you can get past iguanas standing in for dinosaurs (not that you should). I suspect the Lost World show was made because of Jungle Girl so that the producers could jump on that "Xena" train at the last minute. Looking at Irwin Allen's Lost World, you might have sold me if you'd said it had Claude Rains, Michael Rennie and Jill St John. Thats quite a cast for a 60s genre movie, but then again Irwin Allen does have a talent for bringing big names to his B projects. Yeah. It was pretty much an excuse to put Xena in a Jurassic Park show. The character started off pretty great, but I lost interest when one episode had her standing helplessly by as two of the male characters fought over her. The show and I were clearly interested in different things.